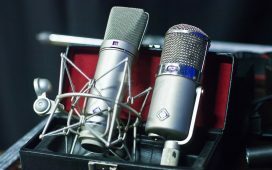 The first iteration of the Sennheiser microphone appeared in 1960 and has been slightly improved over time as technology has improved. 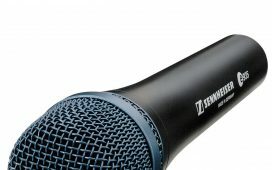 The Sennheiser MD421-II is one of the most recent iterations of the microphone. However, is it any good? Well, before you run out and spend your hard earned money on it as your next piece of gear, we are going to review it step by step. So, without further ado, let’s take an in depth look at the Sennheiser MD421-II. 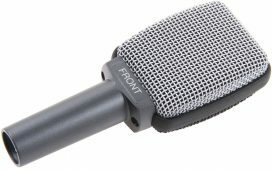 The first thing that you need to know about this microphone is that it is a large diaphragm cardioid dynamic microphones. There are two parts of this to dissect, so let’s just take a look at the “large diaphragm” aspect for now. So, what is considered a large diaphragm microphone? Well, the diaphragm of the microphone has to be at least an inch (25.4 mm) in diameter to be considered large. This is compared to the the small diaphragm microphones that hover around ½ inch (12.7 mm). These sizes vary a little bit, but these diameters are a good rule of thumb when you see a small or large diaphragm label. One major benefit of large diaphragm microphones for vocals is that they have a larger space catching your sound since the diaphragm is, well, larger. This is great for singers or speakers who are rather animated because it doesn’t leave you with a small area to work in. Next, let’s take a look at what it means that this is a cardioid microphone. 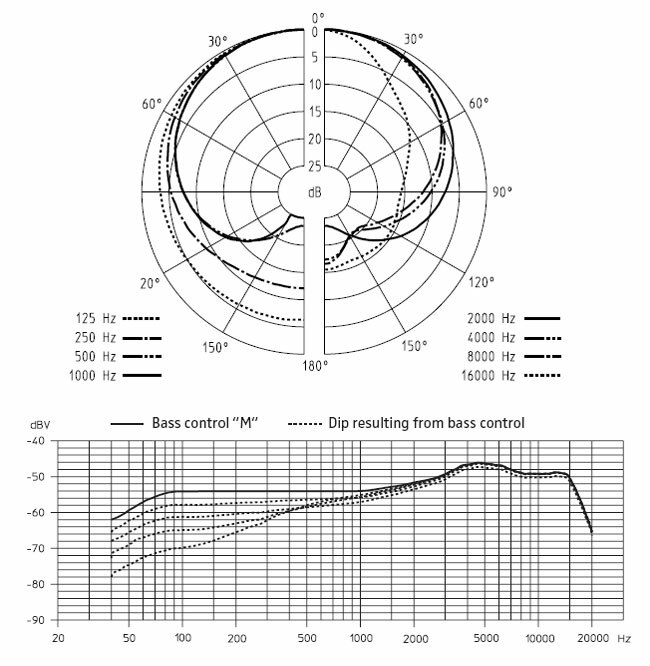 Cardioid refers to the polar pickup pattern of the microphone. It captures sound directly in front of it but not behind it. This makes it a good microphone for vocalists and speakers, which we will take a more in depth look at later. It is also worth pointing out that this is an end address microphone. 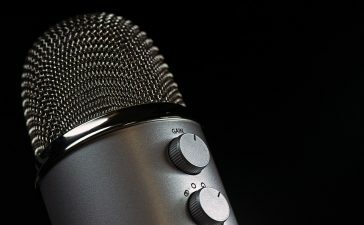 From the looks of it, you The first iteration of the Sennheiser microphone appeared in 1960 and has been slightly improved over time as technology has improved. 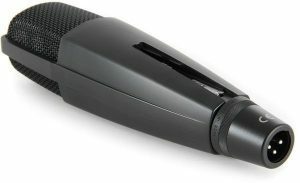 The Sennheiser MD421-II is one of the most recent iterations of the microphone. However, is it any good? Well, before you run out and spend your hard earned money on it as your next piece of gear, we are going to review it step by step. So, without further ado, let’s take an in depth look at the Sennheiser MD421-II. 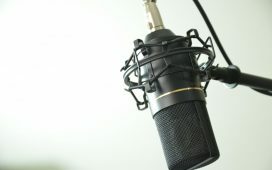 might guess that this is a side address microphone, however, it is a end address microphone meaning you aim the end at the sound you are trying to capture. One design feature that seems miniscule but needs to be gone over is the mic clip. For the Sennheiser MD421-II, the mic clip isn’t the standard clip that you are used to. Instead, it is a flat clip with a track that the mic slides into. Unfortunately, this clip is rather flimsy and breaks and loosens easily. In addition, replacing this clip can get kind of pricey, making how fragile it is that much worse. 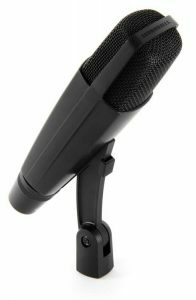 This microphone is also made with a rugged, all metal body, allowing you to use it without fear. The first time you drop this mic or knock it over won’t be the last time you get to use it. This is a big plus for live musicians and speakers, especially ones who find themselves moving the mic around a lot or packaging it up for travel from place to place or gig to gig. 5 position bass rolloff switch with positions such as M for Music and S for Speech. Custom mic clip that the microphone slides in and out of. Cardioid pickup pattern captures the sounds in front of the mic excellently while blocking out ambient sound. Effective feedback rejection helps to reduce noise as the microphone comes close to speakers. Rugged construction with stainless steel basket helps to keep this mic alive and well no matter what happens to it. 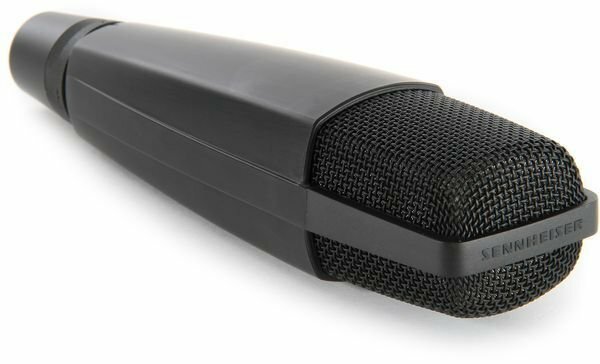 An enclosed inner chassis also means that the mic is less vulnerable to dust and humidity. Metal inner chassis for better weight distribution. With a cardioid pickup pattern, you don’t have to worry about this microphone picking up ambient noises while you use it. In addition, it is designed to have effective feedback rejection so you don’t have as much of a hard time with feedback while you move around a stage, for example. This microphone does have some off axis leakage which can be a problem with multi-microphone set up especially as it can cause weird tones sometimes. 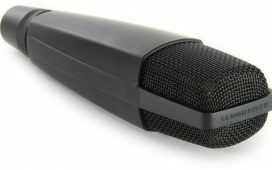 However, if you are just using this mic alone for a speaker or vocalist, this problem won’t be as evident. The Sennheiser MD421-II is made to be relatively easy to use. It has a good sound without needing to be filtered and it is relatively easy to set up. All you have to do is to plug it in and aim it at the sound that you want to record. It doesn’t even require batteries or phantom power to use it. However, the microphone clip that you use to set this up isn’t the most accommodating piece to work with. 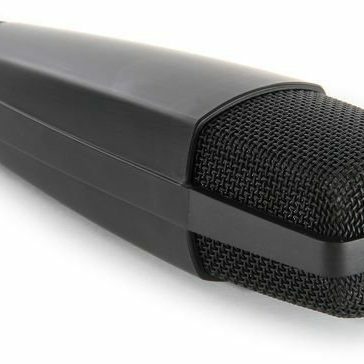 Rather than simply cradling the microphone, you slide the microphone onto a flat piece. Unfortunately, this clip is made up of flimsy plastic and wears down easily. It is very easy to break the track that holds the microphone in place. When you break this piece, it can be expensive to replace since it isn’t a standard mic clip – a major downside when the piece is fragile to begin with. 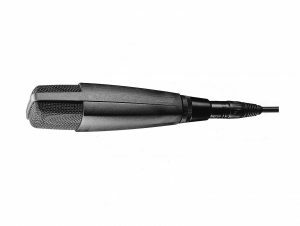 Rugged, metal body helps to keep this microphone intact through daily use. Less sensitive to dust and humidity than previous models. Doesn’t require batteries or phantom power. The clip on this mic is fragile, hard to use, and isn’t standard. Worse yet, replacing it costs more than it’s worth. Off axis leakage makes sound quality faulty, especially if you are using it in a multi-microphone setup. This is more of a problem with studio usage. The Sennheiser MD421-II is a classic microphone for musicians and speakers alike. It has earned its place in most musician’s gear bags and the Sennheiser line has done well to evolve with technology. However, there are some drawbacks to the microphone as well. For example, off axis leakage means that your mic will make sounds a little phasey, especially when it comes to studio setups with multiple mics. 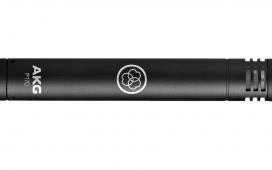 Aside from a few audio issues, though, the Sennheiser MD421-II is a quality microphone.